The high demand that the trend of upgrading to a mechanical keyboard has created during the past few years stimulated a frisky market that many companies started or diversified into. Today there is a vast selection of mechanical keyboards available for nearly all tastes, budgets, and desires for LED everything. 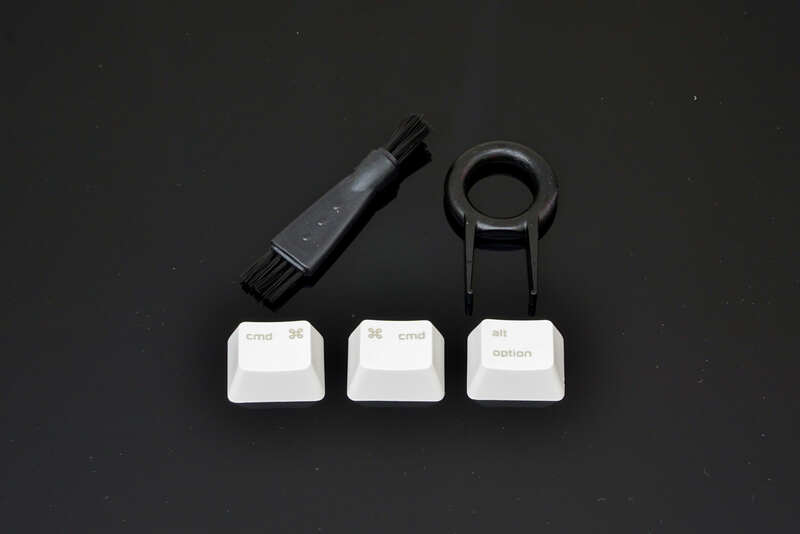 The different styles of mechanical keys also adds another degree of freedom to the offerings on the market, with a single model potentially available in several different mechanical key types. The vast majority of the current mechanical keyboards are marketed towards gamers and/or Microsoft Windows users. A few companies have not forgotten that those who originally made the most out of a mechanical keyboard were professionals, who would be spending many hours every day inputting data and relying on haptic feedback to enhance their throughput. In this review we are having a quick look at the Nixeus Moda Pro mechanical keyboard, a product designed specifically with professionals in mind. It also is partially targeted towards Macintosh users, who today have few options when it comes to mechanical keyboards focused at their hardware. 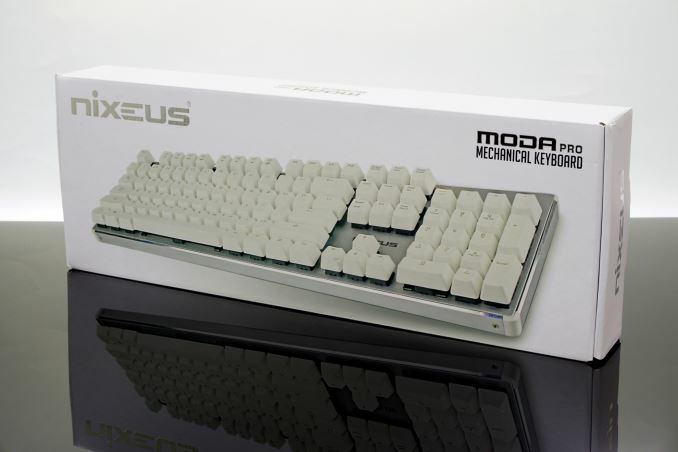 Nixeus is supplying the Moda Pro into a sturdy white cardboard box. The artwork is very simple, with essentially just a picture of the keyboard printed at the front side of the box. It seems that the company is rightfully trying to focus their marketing effort on the design and color of the keyboard itself. Inside the box we found a small cleaning brush, a keycap puller and three extra keycaps. The three extra keycaps are for replacing the Windows-specific and one of the ALT keys with Macintosh “Command” and “Option” versions. If I didn't already have an older mechanical keyboard at work, I would definitely look into this one for a mechanical beater for on the job typing. "There is also a significant difference between similarly sized keys, such as the Swift and Enter keys." "Apparently Nixeus figured that metallic edges would be too sharp for a keyboard, or they were disproportionately expensive to manufacture." Are these the mechanical keyboards from monoprice? As a Canadian do they accept Canadian shipping and money?